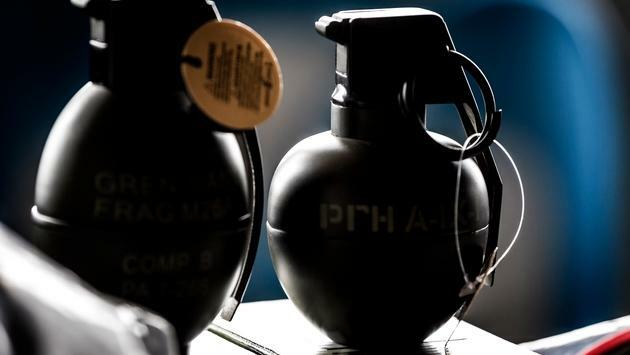 A Transportation Security Administration took to social media Wednesday to warn travelers against bringing a grenade of any type to the airport. TSA Public Affairs spokesperson Lisa Farbstein posted a picture of a gold grenade on Twitter, saying the item had been discovered in a checked bag by security agents at Newark Liberty International Airport in New Jersey. The passenger was taken in for questioning and told authorities he was traveling with the inert grenade to a military training exercise in Phoenix, Arizona. Officials determined the weapon was authentic but rendered incapable of exploding. Eventually, the passenger was permitted to continue on his flight to Phoenix, but not allowed to fly with the grenade. The discovery of disabled or fake grenades is a surprisingly common occurrence for TSA agents, including officers who found novelty bottle openers shaped like the explosive devices at the same New Jersey airport in August. In July, security officials at an airport in Argentina were forced to evacuate the facility when they discovered a grenade that turned out to be a marijuana grinder.